The Bridgeport Coal Storage Facility, along the main line of the Philadelphia and Reading Railway, Bridgeport, PA, circa 1920. The anthracite coal of northeast Pennsylvania was the fuel of choice for railroad locomotives and home heating, for it burned hot, long, and clean. In the early 1900s American railroads used millions of tons of Pennsylvania coal each year. 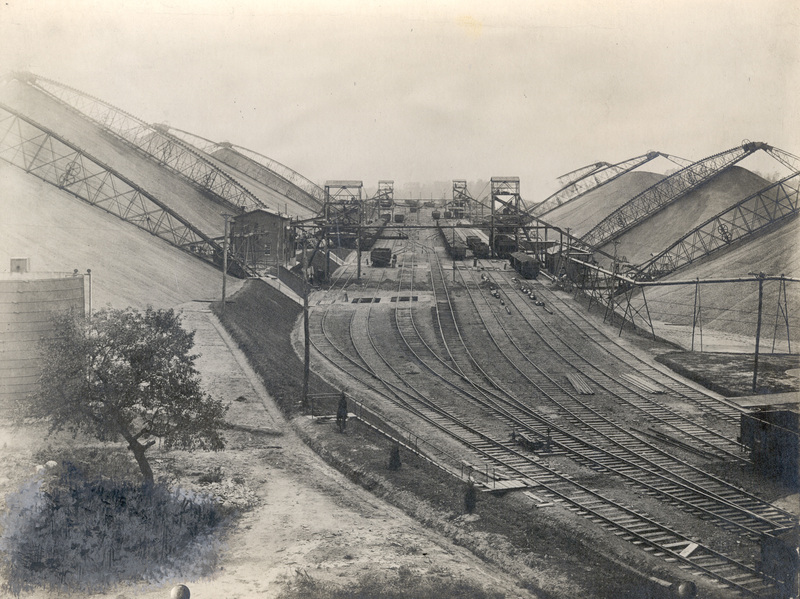 This photograph of a coal storage facility in Bridgeport, PA, shows the massive scale of some of these operations, and the railroad industry's voracious demand for coal.